I do love this show, and even own the CD (my kids hate when I sing it aloud though). 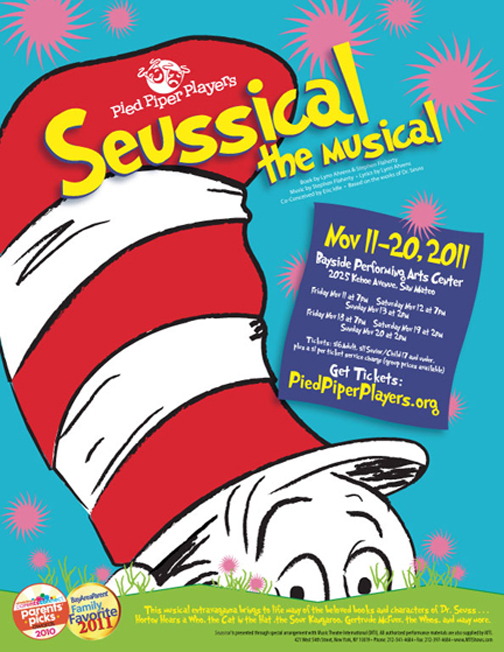 As a matter of fact, I saw Seussical LAST time that Pied Piper Players performed it - it was excellent. This is a mostly-kids production (with a few adults thrown in) - true community theater, but good theater. Bring money for snacks at intermission - they raise funds this way.